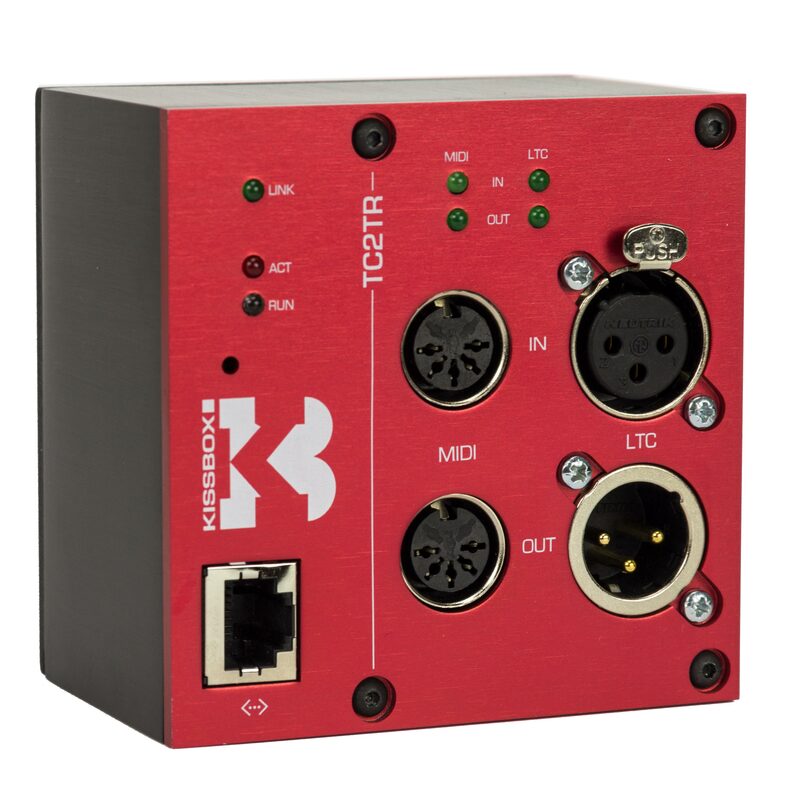 The KissBox TC2TR Transceiver allows you to use a standard Ethernet network to distribute Smpte LTC Time-code and MTC Midi Time-code to any part of your system. 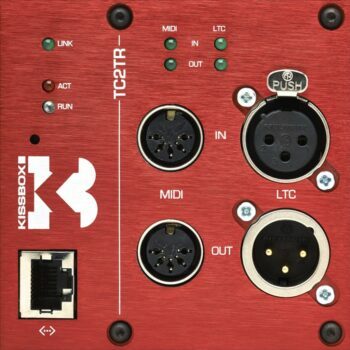 You can configure a TC2TR to behave as a standard Time-code and MIDI interface for a Computer running Windows or OS X. 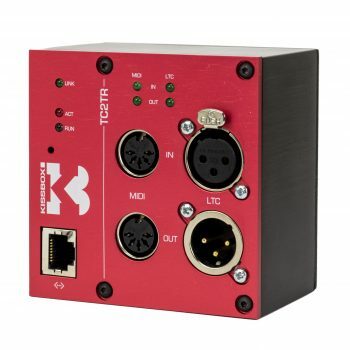 Although connected trough the IP network, software running on your PC or Mac will “see” the TC2TR as a local MIDI interface, compatible with any existing MIDI application. 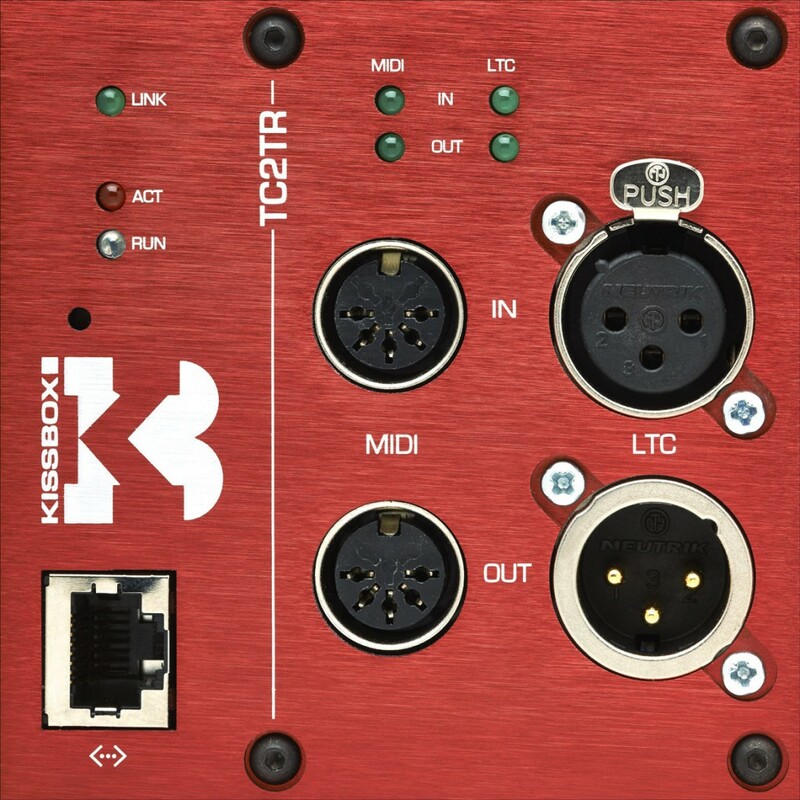 The TC2TR basically uses the RTP-MIDI network protocol to send and receive data over the network. RTP-MIDI is an open standard, which is natively supported by Mac OS X (no driver to install), and for which a free driver is available for Windows (XP to Win8, 32 and 64 bits). Computers running Linux OS or any special software or controller not capable of handling the RTP-MIDI protocol can utilize a direct UDP packet handling option. 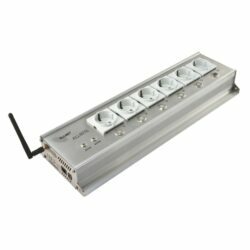 Multiple TC2TR units can distribute Time-Code between them, and/or interface with controllers on the network. 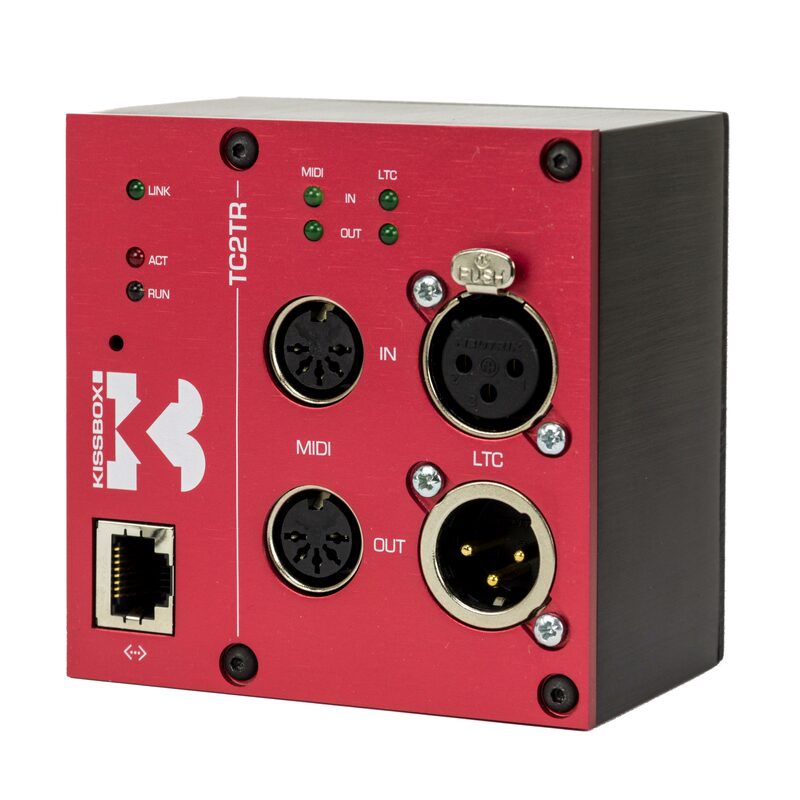 Sends and receives Smpte LTC Time-code and MTC Midi Time-code over Ethernet. 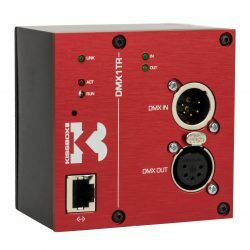 Acts as standard MIDI / Smpte interface.